Welcome! 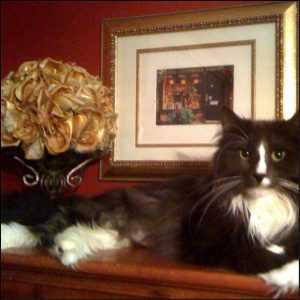 I’m a feline exclusive groomer (no dogs) whose holistic, force-free approach is based on a love for cats, cat behavior, and cat psychology. 2019 marks 10 wonderful years of business doing what I love. Wet Whisker is an in home, aka house call, mobile grooming service. 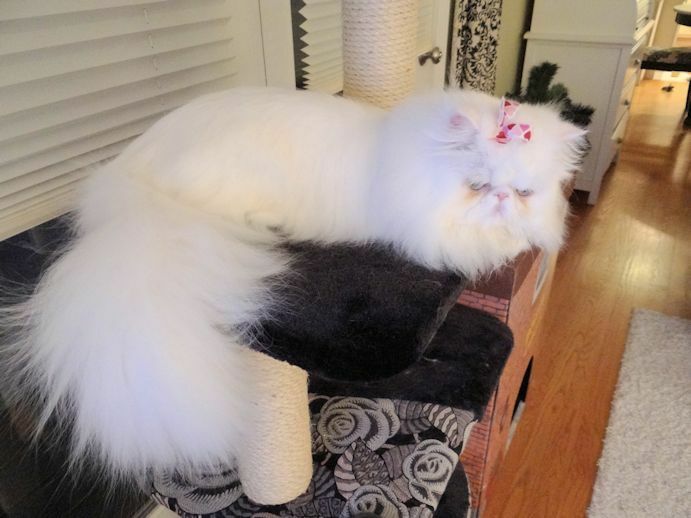 Your cat is fully groomed INSIDE its own home. This is beneficial as stress, to which cats are especially prone, is minimized. Owners also benefit from peace of mind as they’re welcome to watch kitty being groomed, if they like. WW services towns west of Rt.83 to the Fox River, centered around Bloomingdale, IL. The holistic philosophy of Wet Whisker is simple; always treat cats with respect, compassion, patience, & affection. They deserve no less! I love cats, have several of my own, and am an advocate for their welfare. I do not sedate, nor do I recommend sedation without an assessment by me. No force grooming methods are used as these are counter productive and do not foster trust or affection. These include scruffing, muzzles, immobilization, neck nooses, helmet muzzles, tethering racks, dunking bags, paw & leg taping, or other such used by those who do not understand cats and/or do not want to work with them. Cats should be treated as kindred souls and respond best to gentle and patient methods. Peer reviewed research supports this approach. 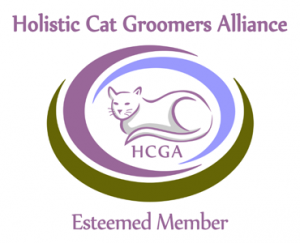 In August of 2016, I was elected to the board of directors for the Illinois Professional Pet Groomers Association and hold the office of Secretary.